Saved By Grace Church - Do You Have It? If you were to ask people at random, especially church goers, if they have faith, the overwhelming majority will say that they do. I suspect, however, that many who say they have it don’t really understand or know what it is, and then there are those who have it but think that they don’t. Let me give you an example of the latter. In the 25th Chapter of Matthew, Jesus spoke of the day when He will set up His Kingdom here on earth. He said that the He will welcome those on His right to partake of the glories of His kingdom. He will tell them they have gained entry because they provided for Him when he was thirsty, hungry, and needy. They will reply that they don’t recall ever seeing Him like that and He will remind them that whatever they did for others, they did for Him. Although the rest of the story does not say it, I think that these people were not aware that they did what they did because they had faith. “In what way” you may ask. Well, even though they didn’t realize it, deep down in their hearts they just knew that what they were doing would please God, and that someway, somehow they would be paid in kind. They were right, and that, my dear friends, is faith. When you have faith, action always follows. James 2:26 says, “For as the body without the spirit is dead, so faith without works is dead also.” When a farmer gets on his knees and asks God to give him a good crop, his faith prompts him to go out and work his field. If God told you it is going to rain on you tomorrow and you immediately go look for your umbrella, that is faith. A family was having a gathering at their home with some people from church. At 9:30 PM, the man told his children to go to bed since they had school the following day. Halfway up the stairs, his little boy cried out “Hey everybody, I’m about to go say my prayers, anybody need anything?” Now, that, is childlike faith and it is the best type of faith of all. This is what was in Adrian Rogers’ (now with the Lord) devotional yesterday: [“When you ask God for something, do you just sit back and do nothing and say, “Well, I’m going to show my faith by doing nothing.” To the contrary, you will show your faith by doing something. For faith without works is what? Dead! Do you want a house? Pray for it. Then say “Amen” with a hammer and saw. Do you want a wife? Pray for one. Then go shave, put on some cologne, learn some manners, and learn how to be thoughtful and loving.”] Pretty simple but to the point, don’t you think? 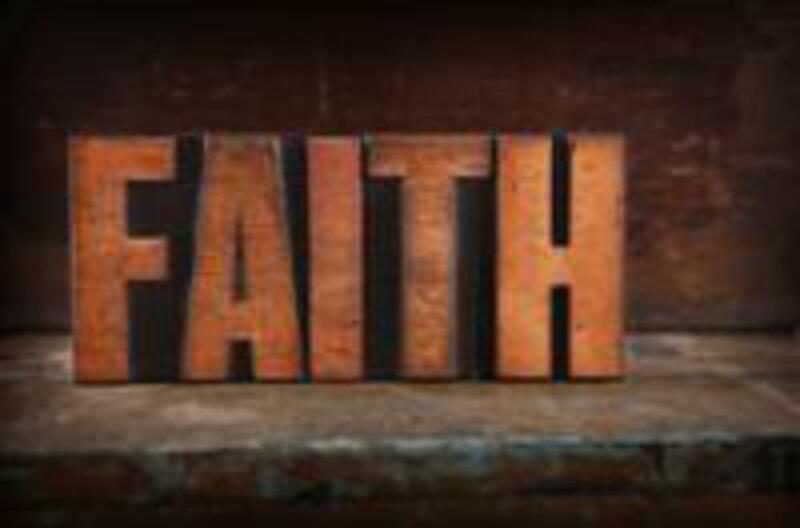 Do You have faith?